where we seek to provide solutions to your pain and aggravation with simple, proven, and effective therapies. If you’re an adult that prides themselves on living an active lifestyle, chances are you’re no stranger to the injuries that physical activity can cause. Physical activity and exercise are very important to keep you healthy and happy, but as with everything in life, balance is key. Too much of a good thing can cause issues down the line. One example of this is the overuse of certain joints, which can cause tendinitis. 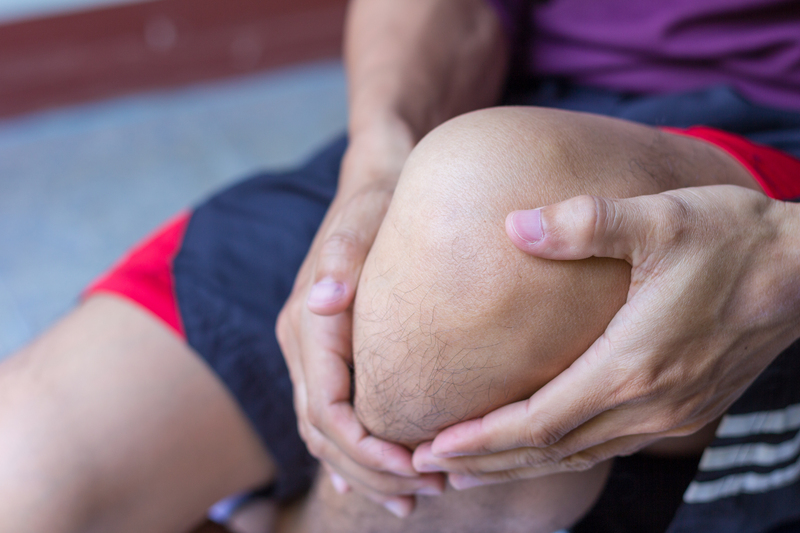 Tendinitis is a condition that causes inflammation in the tendons, which connect muscle to bone. Tendons work with muscles and exert a pulling force. Tendons are tough and can withstand a lot of tension. However, when tendons are overused, they can become inflamed and painful. This is known as tendinitis, or tendonitis. Tendinitis can occur as a result of an injury, but most often occurs as a result of a repeated movement over time. Most people develop tendinitis as a result of a repetitive motion required by a job or a hobby. Those with jobs that involve repetitive motions, awkward positions, frequent overhead reaching, and forceful exertion are more likely to develop tendinitis. Those whose hobbies include sports such as basketball, golf, tennis, bowling and running are more likely to develop tendinitis. There are many types of tendinitis that occur in different parts of the body. Symptoms are typically the same wherever tendinitis occurs. Symptoms are often described as a dull ache and tenderness, especially when moving the affected joint. Mild swelling around the joint can also occur. Doctors are typically able to diagnose tendinitis through a physical exam alone. Occasionally, an X-ray may be taken to help diagnose tendinitis. Once diagnosed, there are a number of medical and self-care treatments that can be used to relieve pain and reduce inflammation. Medications that can help relieve pain and inflammation include over-the-counter pain relievers like aspirin and ibuprofen, steroid injections and platelet-rich plasma injections. If those treatments do not work, physical therapy or surgery may help. At home self-treatments are key to keeping tendinitis symptoms under control. Resting the affected joint, as well as using ice, elevation and compression to reduce swelling can be helpful. Do you suspect that you have tendinitis? Contact Heritage Integrative Healthcare to schedule your appointment today! Back Pain: When Is It Time to See a Doctor? Do You Know How Margarine is Made?